Lindsay High School Learners are able to choose from multiple learning resources for each content module/unit. For example, Learners in the Romeo and Juliet module could choose the traditional text, a whole graphic text, a traditional text with translations, a text in modern English, a Spanish version, or a graphic novel. Resources are also aligned to certain “academies” that Lindsay High School provides, like the Academy of Engineering. Learners are also often able to choose what they learn in class. Each class has Learners operating at different paces, so there are usually 3-4 different learning activities going on during Facilitator-directed instructional time. 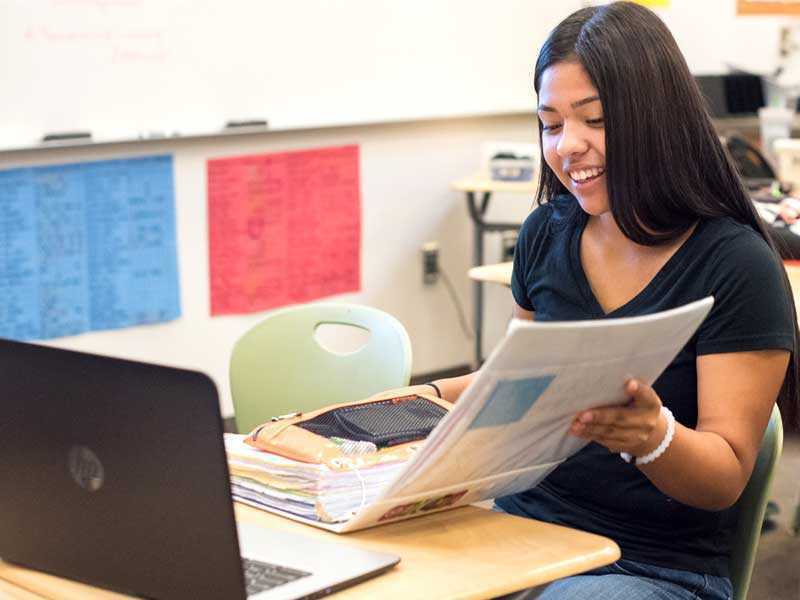 Learners, for example, might be able to select from the following options during English: work on presentations, find source material to compare with a novel, revise an essay, or complete missing IXL work. Selects learning resources and activities best suited to their needs and interests. Provides multiple options of learning resources and activities for Learners. Provides resource bank for Learners to select from. Provides structure of learning activities online so Learners can easily access it without Facilitator help.